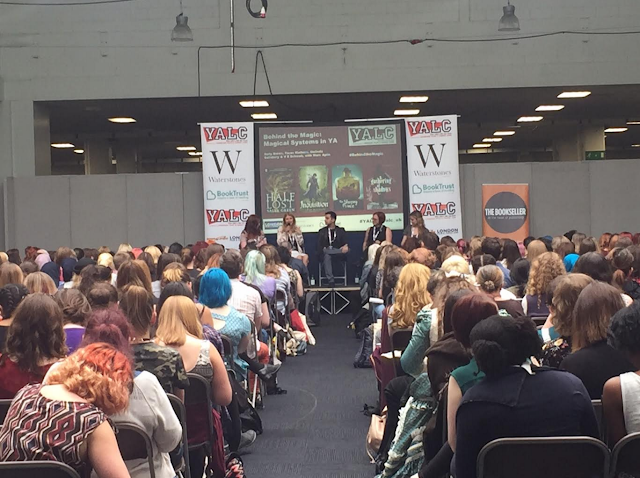 Last Friday I embarked on an hour long train ride across London to get to London Olympia all in the name of YALC. For those of you who haven't head or YALC before it stands for Young Adult Literature Convention and is the UKs only YA convention (at the moment, fingers crossed we get more!). YALC is held from the Friday-Sunday at London Olympia, the same time as London Film and Comic Con happens which is great as you can visit both with a single ticket, although a dedicated YALC ticket allows you to use the YALC entrance which has a much shorter queue that the main convention queue. 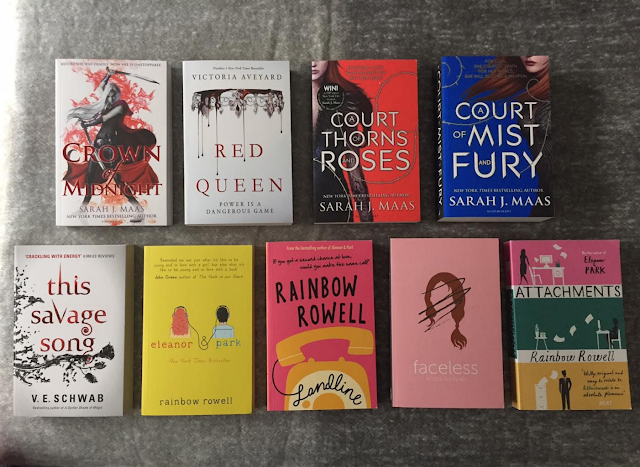 During YALC there are many amazing pannel talks with four authors, book signings and publisher stands filled with gorgeous books and most of them had plenty of samplers, swag and even an ARC or two! 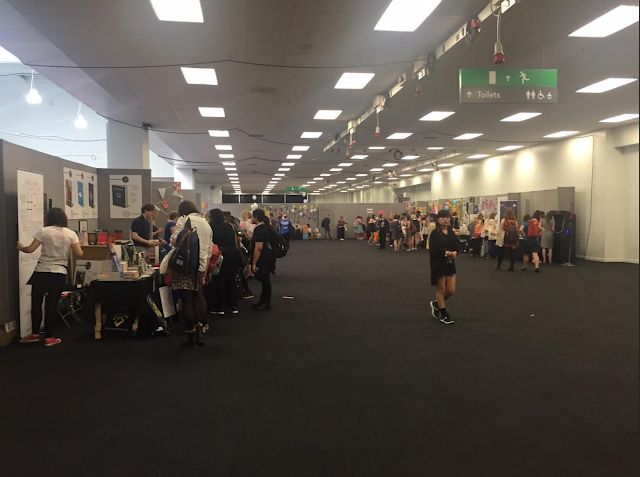 I managed to to go to a couple of the panels and I found them incredibly interesting, but be warned if you get a place at the back as the sound really isn't good! I got a few books signed, The Art of Being Normal by Lisa Williamson, One by Sarah Crossan and Concentr8 by William Sutcliffe. They were all incredibly lovely and it was so exciting to get to speak to them! I also saw Victoria Schwab hanging around the Waterstones stand but by the time I had worked up the courage to ask her to sign my copy of This Savage Song she had left and my back was hurting too much to stay for her official signing time. There are also workshop areas and agent areas where budding writers can get advice. These workshops looked great but I didn't try any of them out as I'm more a blogger than a writer. As well as all of this there is also a lovely area by the book wall filled with deck chairs and bean bags for you to relax and have a read when you need bit of a break. And now time for the haul! First up is all the samples. I will actually be doing a separate post after I've read them all, doing a quick round up of if I think I will be purchasing them or not. I know there were a lot more samplers available and I'm kind of gutted I didn't try and get them all because the ones I have read have been great and they are an awesome way to be introduced to a book you possibly may not have picked up. All the ones I picked up I actually spoke to the publishers about them which I think really helped sell the story to me because the publishers are so passionate about it. 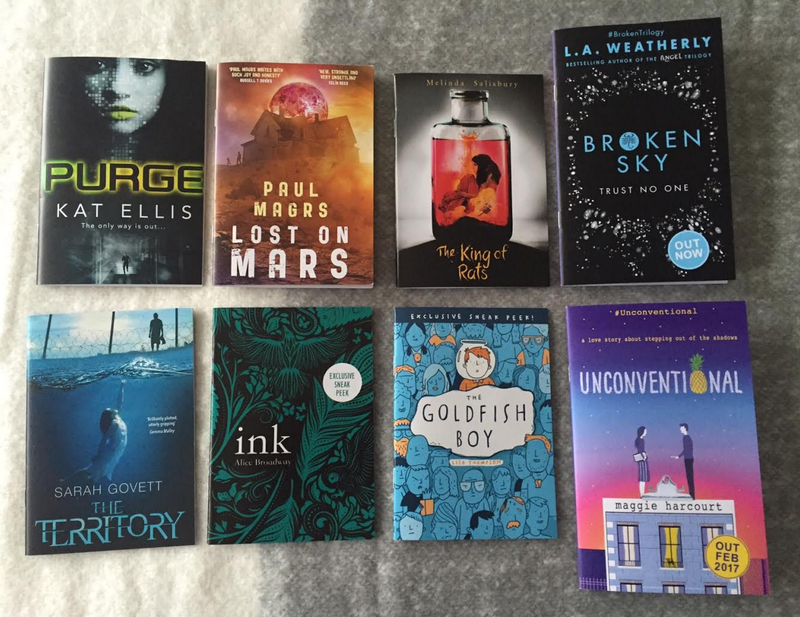 And finally here are all the books I bought! I'm very glad I had my fiancé with me because even though we split the books between us it sill ended up hurting my back. Faceless was the first book I picked up from the Chicken House stand. They have also published Under Rose Tainted Skies by Louise Gornall, I loved that book and apparently fans of URTS also like Faceless. Next up I hit the Orion book stand. I wanted to purchase all the Rainbow Rowell books I don't have e-copies of, and as it was 2 for £10 so obviously I need to buy a 4th book. The lovely ladies on the stand recommended The Red Queen to me and it sounds fantastic, I can't wait to start it. I picked up This Savage Song from the Waterstones stand when I saw Victoria Schwab loitering around there although I didn't quite manage to get her autograph but oh well at least I have an awesome book! Lastly I hit up the Bloomsbury stand as I have heard so many things about A Court of Mist and Fury. I haven't read A Court of Thrones and Roses so I needed to get that too obviously and it was 3 books for £10 hence me picking up Crown of Midnight. Oh and my copy of A Court of Thrones and Roses is a signed first edition, how cool is that! 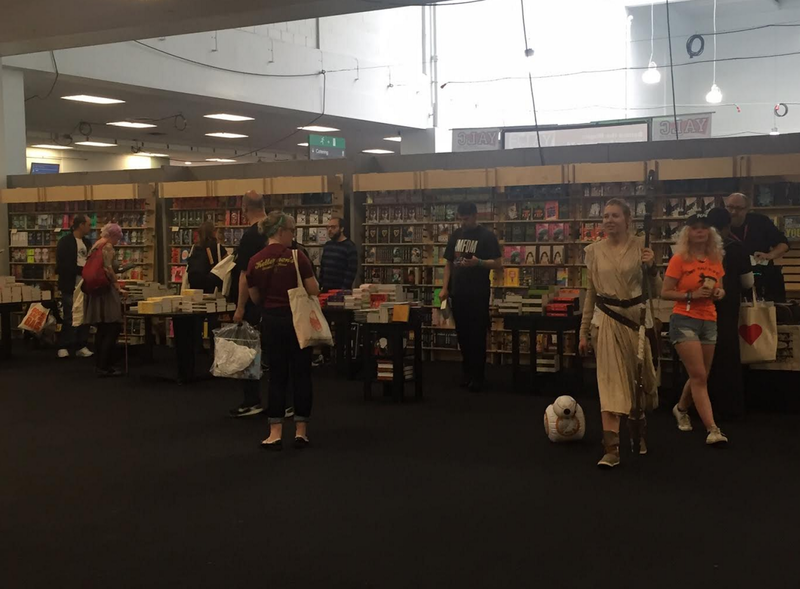 YALC was amazing and I will definitely be going back next year. I only did the Friday this year and I'm quite glad as it was so chilled out and relaxed, the longest I had to wait in a queue was about 10 minutes but judging by the looks of the pictures from Saturday it was a lot busier than! That hasn't put me off though and I'm planning to be there for all three days next year! I had never heard of this convention, but it sounds awesome! 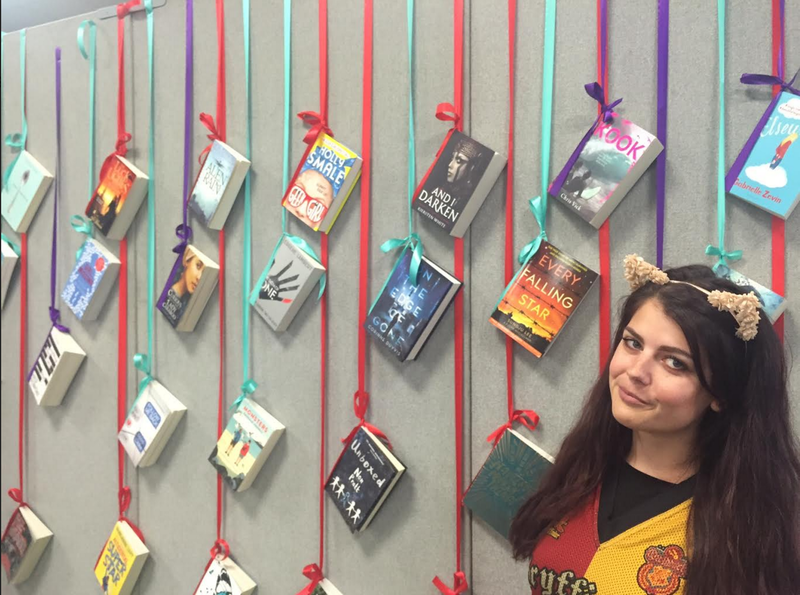 Guest Post | 5 Pins for Book Lovers!